Let Your Analog TV Receive Local HDTV Channels! 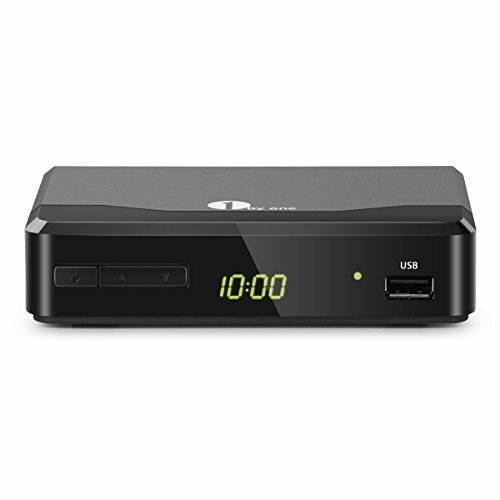 1byone Digital TV Converter Box converts over-the-air ATSC digital broadcasts for playback on your analog TV. Working together with your TV antenna, Digital Converter Box lets you enjoy all your local broadcasts for FREE from ABC, NBC, CBS, FOX and many others with expanded programming for kids, news, sports, sitcoms and more. USB Multimedia Playback: View images and play music and videos on your TV from a USB device for an expanded experience. What You Receive: Converter Box with 1080P Output / Coaxial Output / RF Out / Composite Out, remote control, composite cables, power adapter, instruction manual, 30-day full refund, and 12-month warranty with friendly customer service.